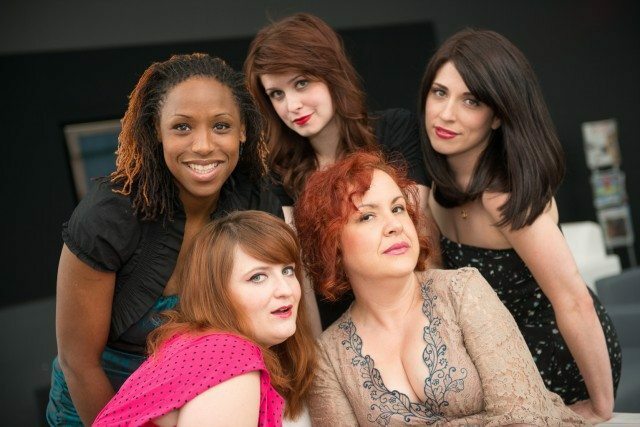 From Left to Right: Zabrina Chevannes, Inessa Frantowski, Sarah Hillier, Sandra Battaglini, and Rhiannon Archer. We suppose it’s a small sign of improvement that a recent National Post story—the latest of many articles to denigrate and disparage “women in comedy”—never once claimed that “women aren’t funny.” Instead, it said that women have “almost no choice” but to portray themselves as “unattractive, sexually unappealing and self-deprecating” in order to succeed as comics, citing as examples Debra DiGiovanni and Nikki Payne, two of the best working stand-up comics in the country. Notwithstanding the fact that all comics use self-deprecation as a method of establishing a rapport with audiences (because someone claiming to be perfect is only funny ironically), this half-baked assertion presumed that just because DiGiovanni and Payne may not have the attributes required of fashion or swimsuit models, they don’t have admirers. Judging from the volume of comments on the article lambasting it, that’s definitely not the case. Talent, confidence, and accomplishment are all extremely attractive qualities that DiGiovanni (who’s already responded to the hack job in print and radio interviews) and Payne possess in spades. They’re qualities shared by the women featured in our first Local Ladies Who Make Us Laugh installment. And now, here’s installment number two. Archer was nominated as a “Best Stand-Up Newcomer” at the Canadian Comedy Awards last year, and has been performing for a little over three years. She has opened for Maria Bamford, Chris Hardwick, and Todd Glass. As a stand-up, she’s completely comfortable veering away from her set to chat with audience members—or, in the case of those who cross the line into heckling, smartly taking them down a notch or two. She put those heckle-destroying skills to work after reading the National Post article. Archer appears as part of the NXNE Festival’s comedy showcase at the LOT (100A Ossington Avenue) this Friday, June 15; and on Saturday, June 16, she performs in The Superstars of Comedy at Comedy Bar (945 Bloor Street West). Battaglini has been at this comedy thing for a while now, and has pretty much done it all. She’s widely known and admired in the sketch, stand-up, and clown/bouffon communities. Fearless when it comes to pushing boundaries, Battaglini’s lampooned the Holocaust, 9/11, and Communist China with her sketch troupe The Specials. She shocks even other stand-ups with her blue material when touring the Yuk Yuk’s circuit. She has even won a Canadian Comedy Award for one of her previous solo shows (Hard Headed Woman). 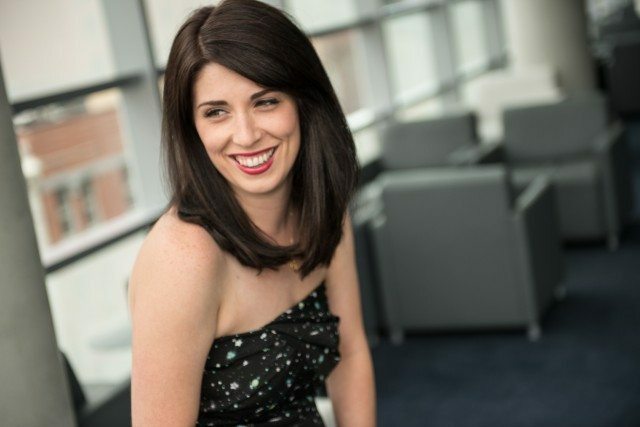 She’s performed solo shows at festivals in L.A., New York, and Chicago, and has dabbled in opera and dance. Battaglini’s favourite female performers in Toronto include past and present women in this series (Kayla Lorette and Zabrina Chevannes), as well as fellow clown and Special sketch performer Precious Chong. Battaglini’s latest solo show, Classy Lady, premieres tonight at the Alumnae Theatre (70 Berkeley Street) and runs June 14–24; she’s already released several video teasers for the show. Chevannes makes her other responsibilities part of her comedy routine. Her set is full of colourful references (and a few off-colour ones) to parenting and her day-to-day. 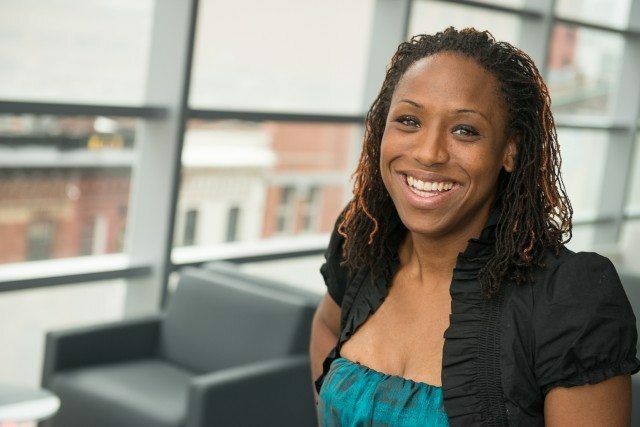 She’s one of the most exuberant and cheerful stand-ups working in the city. She can turn a whole show around by kicking up the energy in the room. Chevannes is appearing on a show on Saturday, June 23 at Comedy Bar (945 Bloor Street West) called Momics (Moms Telling Jokes). 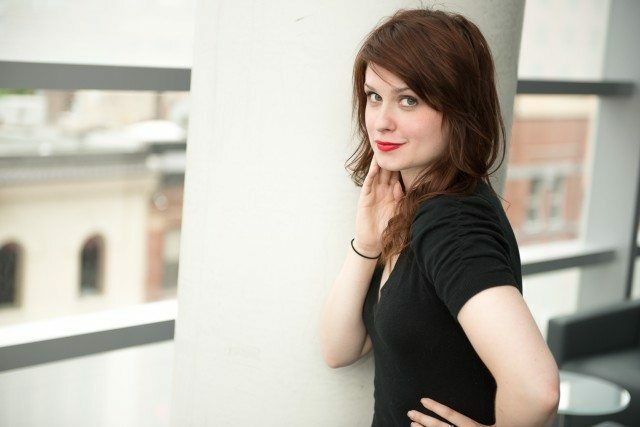 Most recently, Frantowski has been on the Second City Toronto mainstage for their past four revues (we’ve reviewed her performances), a job she’s leaving on June 20. “Two years, four shows, six nights a week,” she said. “Nothing beats getting on stage every night for a crowd that you didn’t have to beg to come!” As much as she loved the Second City experience, she’s excited to join the cast of new sketch troupe Primo, relaunch a music and comedy monthly with Maylee Todd and Dana Snell at the Magpie (831 Dundas Street West), and start participating in the city’s independent comedy and music scenes again. 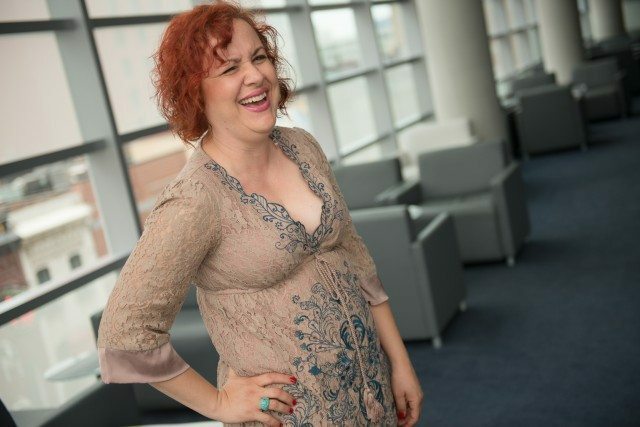 Asked what other local women in comedy she admires, Frantowski named Sarah Hillier, Kayla Lorette, Kathleen Phillips, and Laugh Sabbath’s Sara Hennessey. 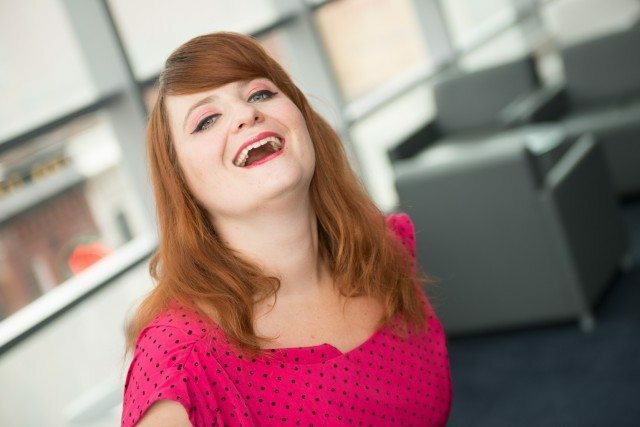 Frantowski’s final show at Second City (51 Mercer Street) will be Wednesday, June 20, with many special guests participating in the 8 p.m. show (and FREE improv set at 9:45 p.m.); her first show with Primo will be the following night, Thursday, June 21 at Supermarket (268 Augusta Avenue). Hillier plays tonight at Comedy Bar (945 Bloor Street West) with The Ladies of The Sketchersons in the Sketch Com-Ageddon tournament. She’ll also be performing Mondays and Fridays all summer at Second City Toronto (51 Mercer Street) with the touring company cast. CORRECTION: June 14, 5:05 PM Previously, the address given for Second City Toronto was listed as 55 Mercer Street. The actual address is 51 Mercer Street. The correction has been made to the article above. Thanks to the TIFF Bell Lightbox for allowing us to shoot the photos that accompany this article there.